Commit to the Cause. Push for Change. Answer the Call. On average, everyday natural disasters will directly impact 80,000 people, costing the global economy more than $270million. What if technology could help improve these figures? That’s exactly what Call for Code is setting out to do. It challenges developers to work out how to use AI, Blockchain, Cloud, Data, and IoT technologies most effectively to improve communities’ disaster preparedness and resiliency. 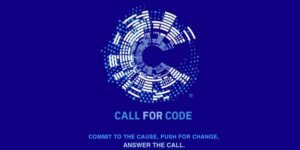 This is a competitive challenge, but unlike any other Hackathon, the winners will be working with The American Red Cross and IBM’s Corporate Service Corps to deploy the solution in 2019. I’d be proud to announce that we in Puerto Rico have a team of developers among our ranks who are changing the world for the better.